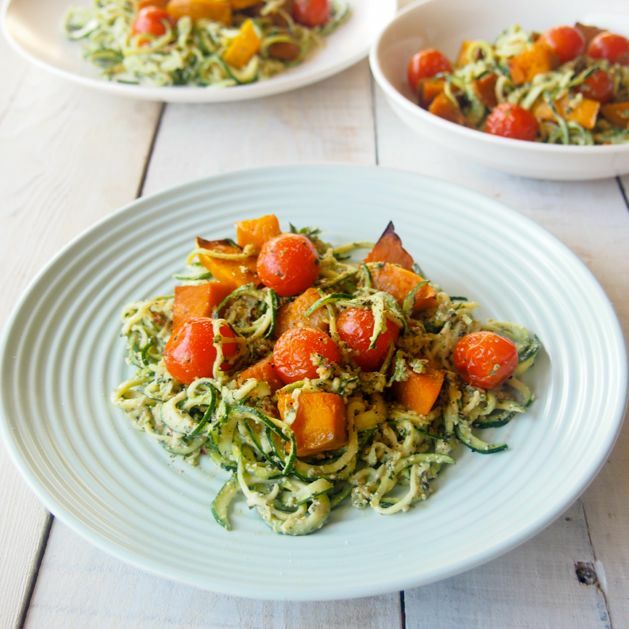 Cherry Tomato Pesto Pumpkin Zoodles! This is a sponsored post with super delish Cherry Burst cherry tomatoes. We’ve always loved food so this explains why heaps of our childhood memories are about… food. We have so many fond memories of the humble cherry tomato. Like helping Mum unpack the groceries and eating the whole punnet while unpacking… coz we needed the sustenance (unpacking groceries is hard work ;)). Yeah, we can officially confirm that we loved cherry tomatoes and that we were cray cray ratbags (cute ones). We can also confirm that we still LOVE cherry tomatoes! They’re the easiest, most delicious healthy snack, they make epic, drool worthy, real food recipes, plus they’re actually REALLY good for us. It’s like a win, win, WIN situation! Before we get into all that deliciousness, you should know that cherry tomatoes are high in A, C, K, B Vitamins and the antioxidant Lycopene. Good for healthy skin, nervous system, and bones! 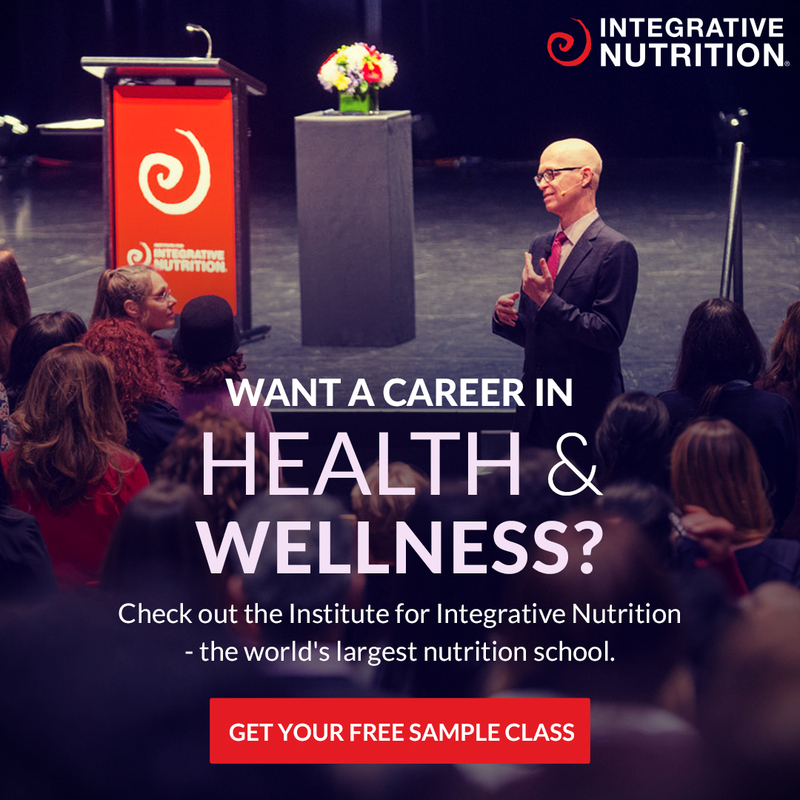 Plus Lycopene is known to prevent many cancers and heart disease (#yay!). 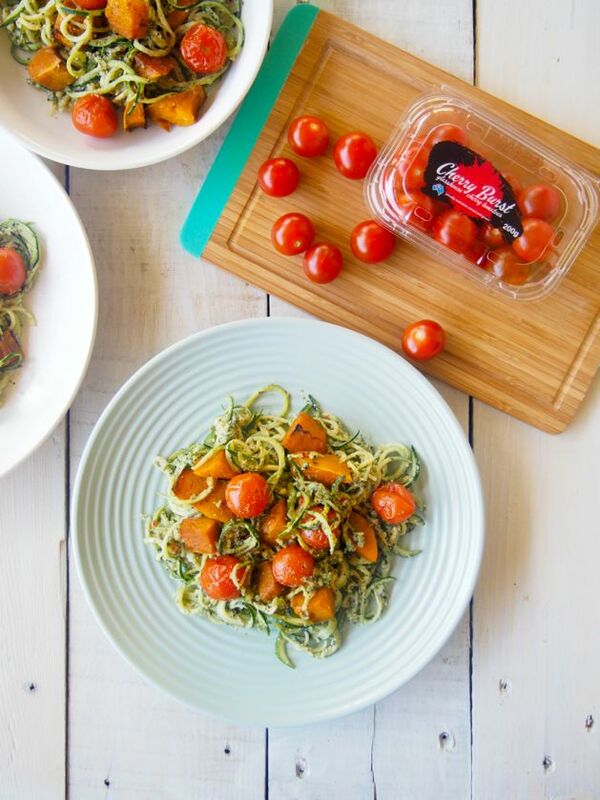 Yep, the time is definitely NOW to get some cherry tomatoes in to you, you can find Cherry Burst Cherry Tomatoes at your local Coles and you can find delicious cherry tomato recipe ideas below… including our new favourite thing in the whole world: Cherry Tomato Pesto Pumpkin Zoodles! Be sure to make this… like yesterday. These look fancy, don’t they? 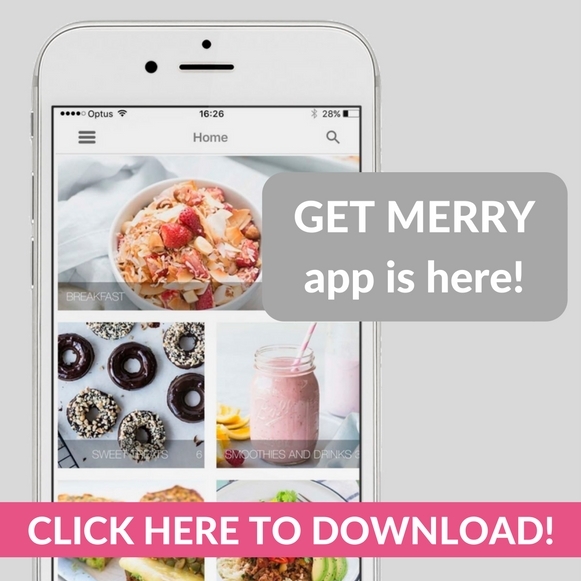 We’d say they’d definitely impress any party guest and everyone would be asking for the recipe! The BEST thing about these sweet tato toppers… is that they’re totally easy. 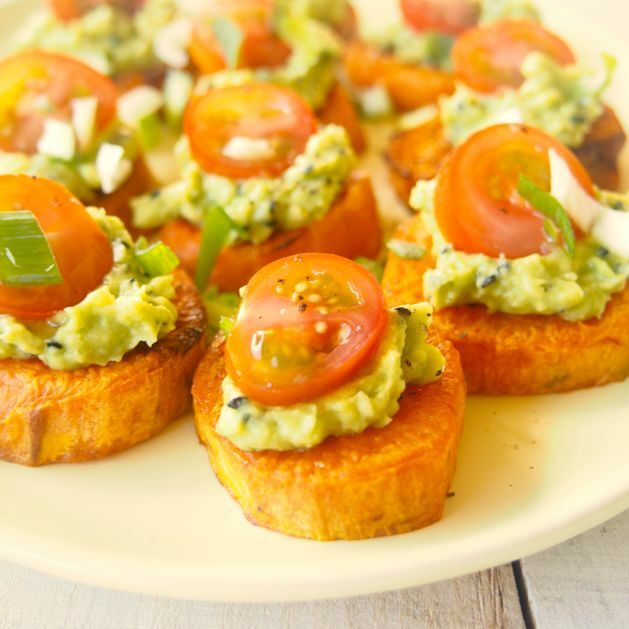 All we did was roast slices of sweet potato, top with smashed avocado, add a slice of cherry tomato, sprinkle with shallots and drizzle with olive oil! Sweet potato toppers might be our new favourite thing (a part from Cherry Tomato Pesto Pumpkin Zoodles). Enjoy a bowl of fresh raw veggies! 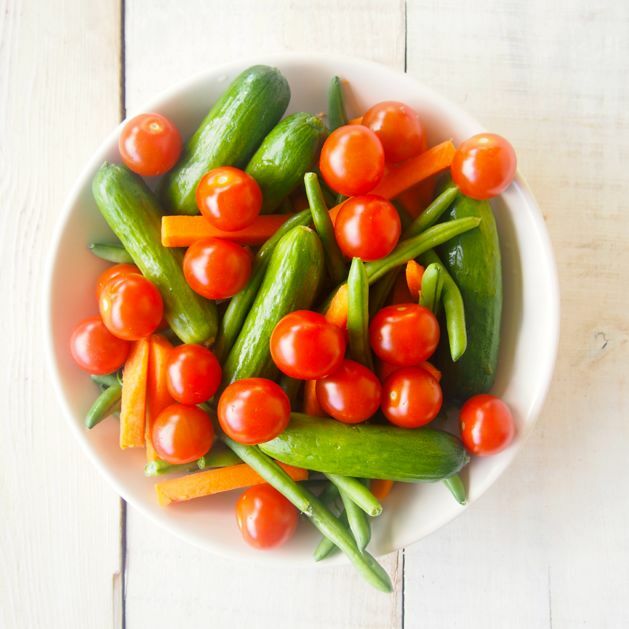 Especially during the warmer months we love to keep a bowl of fresh veggies in the fridge! This comes in handy for when snack attack moments happen… and although we might want to make a batch of paleo chocolate, a delicious cherry tomato, carrot stick or mini cucumber (everything is better in mini form!) does the snack attack trick well! Heck to the YES! Grab yourself a piece of paleo bread (we bought this loaf from the health food store… but we have loads of paleo bread recipes on the blog!) and toast it up. Then, in a small bowl mix a punnet of chopped cherry tomatoes (YUM), with half a red onion chopped, a handful of basil chopped, 2 tbs. olive oil and salt and pepper! 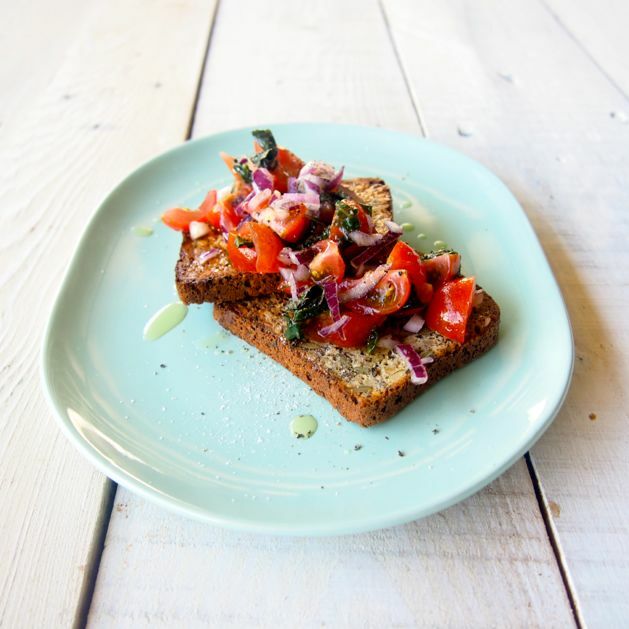 Top the toast with the bruschetta mix and you have one delicious lunch! Now to the all star recipe! Our Cherry Tomato Pesto Pumpkin Zoodles! Serious YUMBITES! The best thing about this recipe is that it is ridiculously easy AND that it tastes good AND that it looks good! We invested in a spiraliser (FINALLY!) which means you’re probably gonna be seeing a lot more veggies as noodle recipes. Lucky for you, right?! Ok! 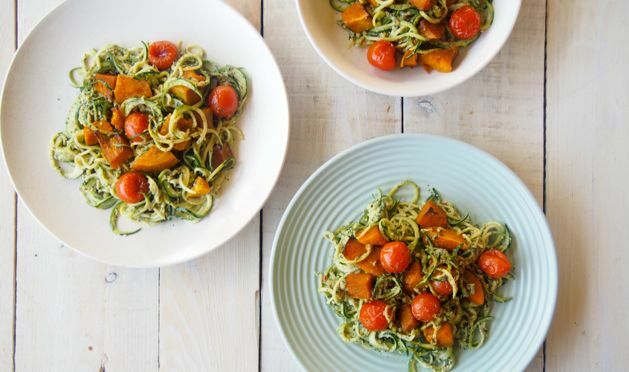 What are you waiting for… time to make Cherry Tomato Pesto Pumpkin Zoodles and go to zoodle heaven (it’s a real place!). 1 punnet cherry tomatoes, we use Cherry Bursts! Place the pumpkin cubes on to the baking tray and drizzle with the coconut oil. Place in to the oven for 20 minutes. After 20 minutes, add the cherry tomatoes to the baking tray and cook both the pumpkin and cherry tomatoes for a further 20 minutes. Meanwhile, spiralise your zucchinis in to a large bowl! If you don’t have a spiraliser you can use a julienne peeler, a mandolin slicer OR you can simply use a potato peeler and make fettucini style zoodles! In a blender whiz the cashews, olive oil, chilli, basil, lemon, salt and pepper until just smooth. We like ours to be a little crunchy still! Add the basil pesto to the zoodles and mix well. Once the pumpkin and cherry tomatoes are cooked, add them to the zoodle mix and enjoy! Be sure to make enough for the next day. This meal is delicious and perfect as leftovers!